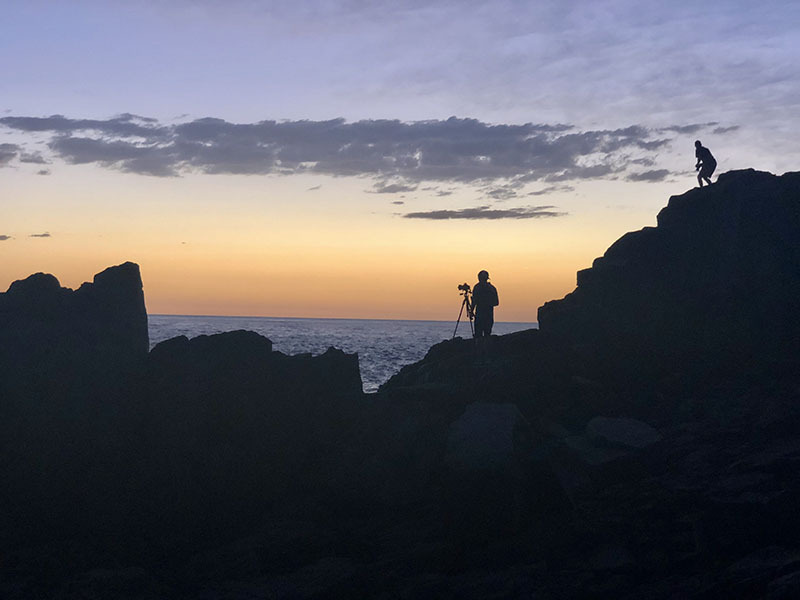 We lusted over the instagram photos and we were now on our way at 5am in the morning to photograph the famous Bombo Quarry at sunrise. But where is Bombo? Well, it is roughly a two hour drive from Sydney near Kiama on the South Coast of NSW. We opted to stay at Gerringong which is about 15 minutes away from Bombo. Some Sydneysiders leave at 3am in the morning for the drive down to capture this amazing place. The quarry itself has been closed for over 70 years, when it was in full swing it was mining basalt for a Sydney market (also known as the Blue Diamond Trade). But what makes this place unique is the tall basalt columns of rock that hug the water line. You need to get up early to get those great shots! 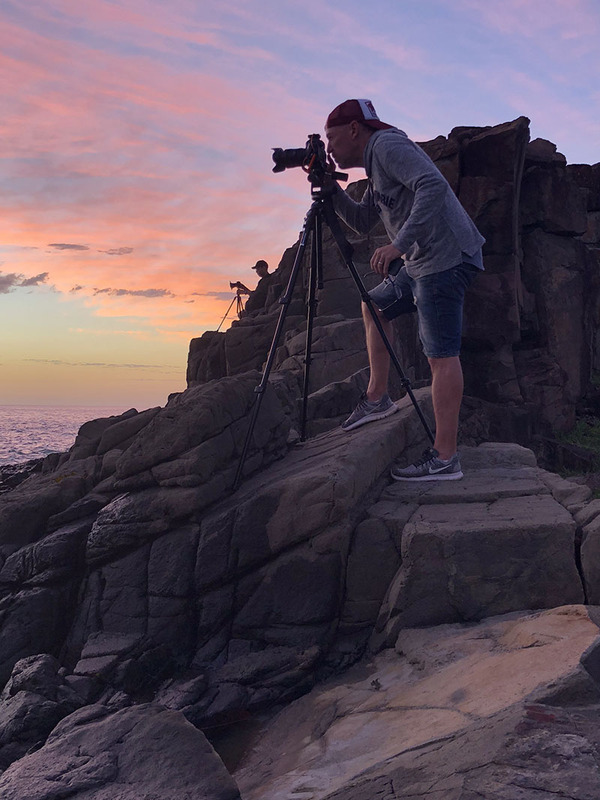 This place has become very popular, on the morning we arrived Australia’s landscape photographer of the year was giving a private lesson while another photographer was climbing over rocks in the dark to get the best shot and this was a Thursday. I imagine on some mornings there would be a few people taking photos. Don’t think sunrise is the only time to take photos of Bombo, daytime reveals a lunar landscape which makes for some interesting shots. Even night time photos come to life because Bombo is tucked away from the Kiama lights. 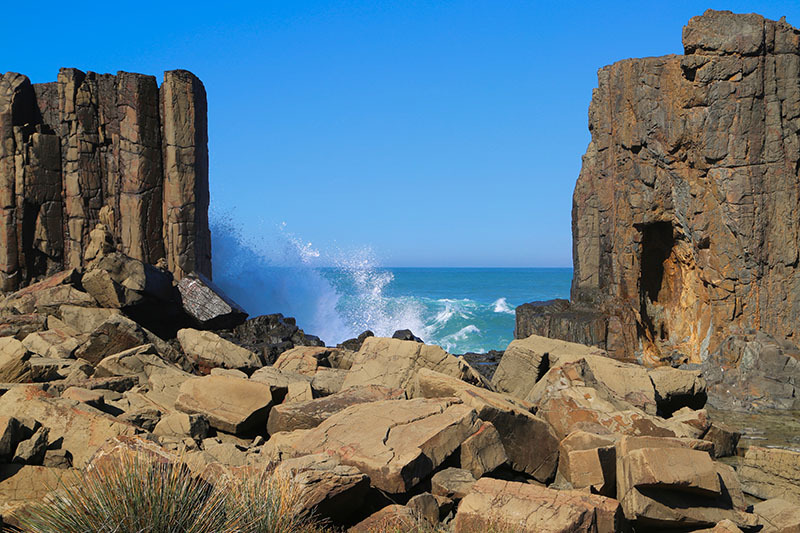 Search “Bombo” on instagram and drool over some of the photos taken at this spot. Ok, so here is our guide to getting to and positioning yourself at Bombo (especially if this is your first time). 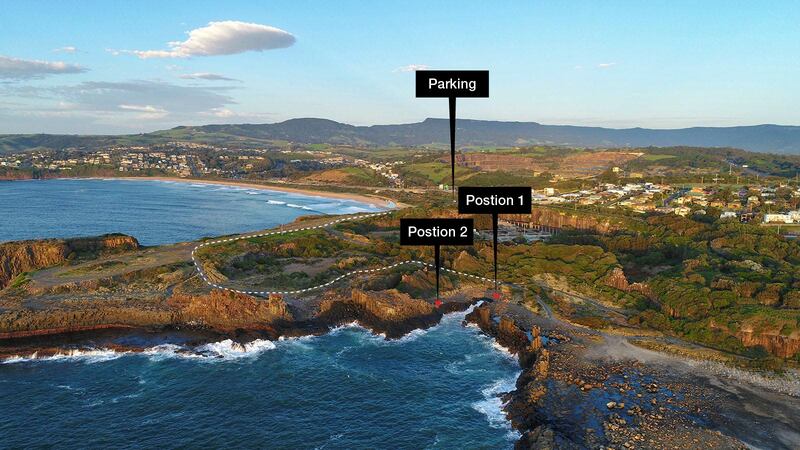 Use the car park at Panama St, Bombo Beach and follow the walking track which starts at the far end near the toilets. Check out the drone shot above which shows the track we took to get to our position. In the dark, it takes about 10 minutes. If it’s a big swell, you will hear the water hitting the rocks as you get closer. X marks the spot – refer to the drone shot. I’m sure there are many other positions but these were the main ones. Big Tip: If you’re shooting morning or at night, put on insect repellant. Just before sunrise they were in plague proportions and we were eaten alive, when the sun came up though they disappeared. Check out out Instagram account for more photos! Great job with this guide.